Home Antique is an extremely affordable one BHK located close to Anjuna. The place features attractions like an outer seating area situated in a garden, parking facility for automobiles and a number of modern and useful amenities. 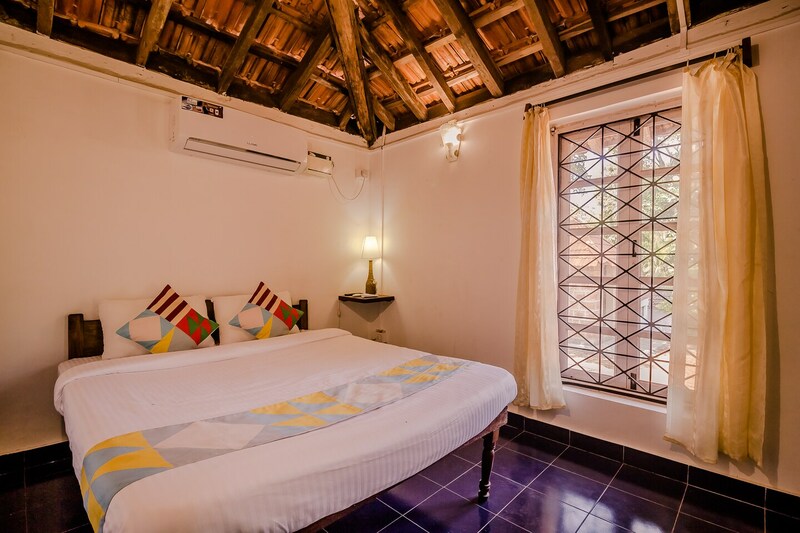 This cottage styled property features lush greenery in the surroundings along with other facilities including CCTV camera installations, parking facility, television, geyser in the washroom, refrigerator for the kitchen area, power backup and a spacious kitchen with eating table for two. There is also a children's park located close to the property.